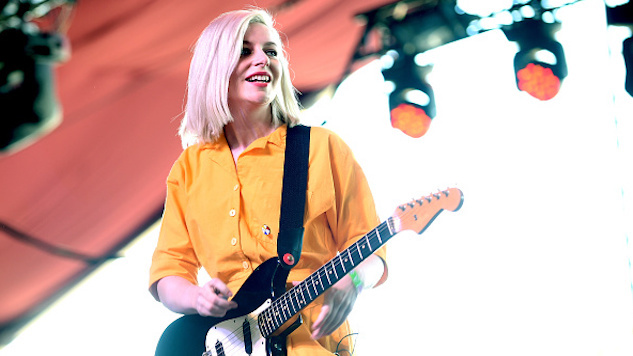 Alvvays have tacked on extra fall dates to their tour, including appearances in Los Angeles, New York and their native Toronto. They’ll open for The War On Drugs at the Hollywood Bowl in September, play a stacked two nights at the Warsaw in Brooklyn and make their way to Texas for Austin City Limits Music Festival in October. Playing dates with Snail Mail and Hatchie, Alvvays don’t appear to be slowing their roll anytime soon. You can review their entire touring schedule down below. This past weekend, the Canadian rockers, fronted by singer/guitarist Molly Rankin, played Governors Ball in New York City. They also recently stopped by CBS This Morning to play three tracks from their 2017 record Antisocialites: “Dreams Tonite,” “In Undertow” and “Plimsoll Punks.” You can watch those performances here. The band shared a colorful, pencil-drawn poster to announce their new tour dates, as seen in the tweet below. You can read our review of Antisocialites here. Paste also recently caught Alvvays at Shaky Knees, the highlights of which you can check out here.